Manisha Raisinghani, as the co-founder and CTO of LogiNext, leads one of the fastest growing SaaS companies catering to logistics and workforce optimization. The company under her technical guidance has won over different global markets with superior products that work around self-learning algorithms. She has created flagship products that enable LogiNext to consistently and successfully optimize more than 10 Million shipments per day across Asia, MENA countries, Europe and US. Prior to LogiNext, Manisha has worked with IBM (US), Mastek (UK) and C2LBiz (Mumbai) in the capacity of technology architect and lead. Manisha holds a Master’s degree in Information Systems from Carnegie Mellon University and a Bachelor’s degree from Mumbai University. LogiNext is amongst the fastest growing SaaS companies providing solutions to manage and optimize logistics and field service operations. LogiNext’s flagship products are its cloud based Last Mile Delivery and Route Optimization software. LogiNext typically serves large enterprises having frequent movements of shipments, vehicles, movable assets, delivery associates, field technicians, repair workers or even sales personnel. LogiNext is currently targeting multiple industries with a primary focus on Consumer Goods, Supermarket Chains, Retail, Courier, Transportation, Repair Services and Utilities. Its clientele is spread across the world with majority of them using LogiNext products in North America, Middle East, South & South East Asia. LogiNext has now become a large market share holder and an industry leader with recognitions like Forbes Top 30 2017, NetApp’s Most Innovative Tech Company of 2016, Entrepreneur Magazine’s Logistics Firm of 2016, Frost & Sullivan Best Logistics Industry Player of 2016, IBM’s Top 30 B2B Companies of 2014, Aegis’s Best Innovation in Big Data of 2015, CIO Choice of 2016 and Red Herring Asia Topper of 2016 for its expertise in providing tools with real-time route planning algorithms and real-time workforce performance analytics. LogiNext is backed by Alibaba funded Paytm and Indian Angel Network and has raised more than 10 Million USD of venture investment till date. LogiNext has achieved exponential success in a very short span of time and is set to exceed 300% growth by the end of this year. The true growth hackers, who paved way for this success are the people working exceptionally hard and adding value to the organization. its brand ambassadors – that’s how they address their people who bring unique values, discipline and problem-solving skills to nurture the innovative and entrepreneurial work culture at LogiNext. Passion, versatility, expertise and a hunger for success is the Mantra chanted by every Logi-Nextian! Founder, BabyChakra. India’s Largest & Most loved Parenting Platform. At BabyChakra www.babychakra.com she aim to empower parents to make the right maternity & childcare choices for their families. She also bringing the massive maternal and childcare industry online and inducting it to the digital economy.They are obsessed with solving a big problem that affects families globally. Launched in 2015, they have rapidly become the largest platform for young mothers in India. Their app is the #1 Parenting App on Google Playstore in India. They are backed by Google’s prestigious Launchpad Accelerator, Microsoft Ventures, Facebook Start and were shortlisted from India by Y Combinator for their Winter 2017 batch.As the CEO & Founder, She is responsible for Product, BD & Outreach. She is also the chief energizer & knowledge sponge. Aditi Gupta is a social entrepreneur and co-founder of Menstrupedia, working towards spreading awareness about menstruation. While studying at the National Institute of Design, as a Ford Foundation research Scholar she has conducted extensive research in understanding the scenario of menstrual unawareness in India and its impact on a girl’s life. She has designed effective educational tools for girls and schools using storytelling and sequential art for educating young girls about periods in a society where the subject is a major taboo. Menstrupedia Comic which is a complete guide on periods designed by Menstrupedia team is being used by more than 500 schools across India. The books are being distributed in other countries like Nepal, South America and Nigeria.She is a Global Shaper alumni at the world Economic Forum and made it to the achiever’s list of Forbes India 30 under 30, 2014 for her work towards breaking the taboo around menstruation. She is a TED speaker and also International Visitor Leadership Program (IVLP) alumni.Aditi aspires to create a future where menstruation is not a taboo but a welcoming change in a girl’s life. JetSetGo is a plane aggregator that manages, operates, and flies planes for plane owners. At the same time, it lets customers charter aircraft and provides, among others, cloud-based scheduling, aircraft management, and advanced trip-pricing capabilities with an inbuilt marketplace for services and parts. Co-founder of SocialCops, a data intelligence company.Recognised by Forbes Asia 30u30, Fortune India 40u40, Forbes India 30u30 & as Top 10 CNBC Young Business Women 2016.Interned at Goldman Sachs and Exxon Mobil. Wish I had picked startups to intern at instead. Majored in Chemical and Biomolecular Engineering with a Minor in Entrepreneurship. Decided to spend my life doing the latter. Writes for fun. Hope to become a published author someday Realized early that fiction wasn’t my thing, so trying to do cool stuff with my life – that someday becomes worthy of a book. BankBazaar is a mammoth online marketplace which aims to inculcate financial awareness among consumers by giving them instant customised rate quotes on different financial products. Founder and publisher of Juggernaut Books, She was the founding editor in chief of Random House India and publisher of Penguin India from 2011-15, She is a passionate publisher and all about books. Authors She have worked with include Amitav Ghosh, Vikram Seth, Anita Desai, Arundhati Roy, Twinkle Khanna and Rujuta Diwekar. Ashwini Asokan is the founder and CEO of Mad Street Den, an Artificial Intelligence company, powering the Retail industry with its Image recognition platform, Vue.ai. The company is headquartered in the Bay Area, California with offices in Seattle and Chennai (India). 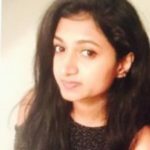 Vue.ai works with marquee retailers, brands, and marketplaces across the globe, transforming the fashion industry’s operations through intelligent automation.Mad Street Den’s backers include Sequoia Capital, Exfinity Ventures, KDDI – Global Brain Japan, and Rocketship VC.Ashwini was featured on Fortune’s 40 under 40 list and has also been featured in over 100 publications including Forbes, TechCrunch, Nikkei, and Vogue.Follow Ashwini on Twitter @LadyAshBorg. Founder of Greenway Appliances with Ankit MathurNeha Juneja is the co-founder & CEO of Greenway Appliances, a start-up designing and marketing efficient cooking solutions to rural households. Previously, Neha organized community-led projects and need-analysis consulting in a wide array of areas including agro forestry, primary energy supply, and water access across rural India. She has been internationally recognized for her excellence in product design. In addition to the numerous awards she has helped GGI secure, Neha was named 2010’s Brightest Young Climate Leader by the Hindustan Times & British Council and won the L’Oreal Paris Femina Women Award for Science and Innovation in 2013. She earned her MBA from FMS, Delhi and a BE in Production & Industrial Engineering. Next article The SSL Certificate that Your Website Needs! I’m also looking for the ways on how to promote my website. I have tried AdSense and Facebook Ads, however it is getting very expensive.